‘What do I want?’ | Dementia isn't funny. ← Nobby didn’t do it! 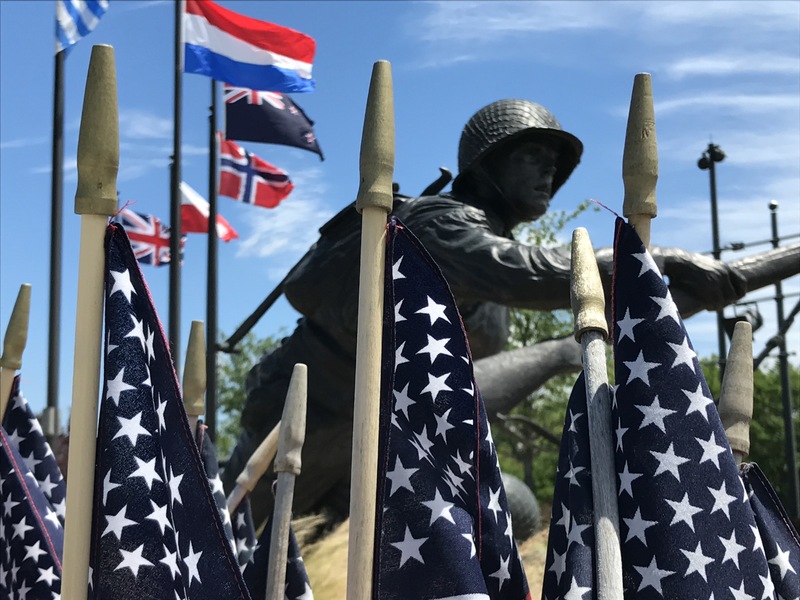 Peter and I spent the morning of June 6 at the Commemoration of the Normandy Invasion at the National D-Day Memorial in Bedford, Virginia. We’ve visited many times in the sixteen years since it opened. We go because we remember D-Day. Well, I do. Peter doesn’t remember much anymore, but I’d hoped the grandeur of the place would spark a memory. After the ceremony we went to Roanoke for lunch. When I drove into Montano’s parking lot, his eyes lit up. “I know where I am now,” he said. We were seated quickly at one of Theresa’s tables. After so many Montano’s lunches, she knows us. She patted Peter on the shoulder. “You remember, we don’t have Guinness on tap anymore,” she said, apologizing. When Theresa brought our food, he asked me about the contents of the three little cups on his plate. “NO-O! Don’t drink the vinegar!” I yelped. Too late. He shuddered. His eyes watered. “Bl-l-l-ech! Wasn’t supposed to drink it, was I?” He laughed and choked at the same time. He did “sprinkle” the remaining vinegar, but then, to add to my shock, he plastered the fish with tartar sauce. By that point, I guess I wouldn’t have been surprised if he’d licked the container clean. 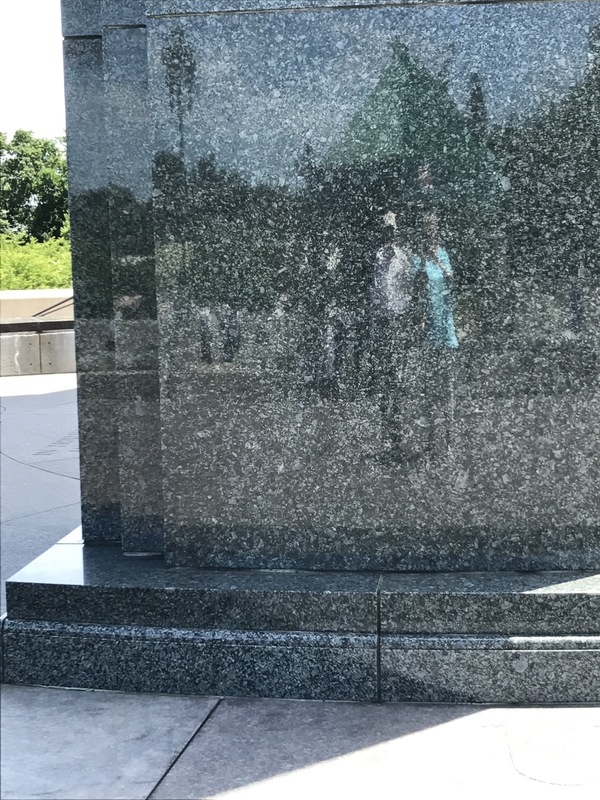 We’re reflected in the granite Overlord Arch in Bedford. 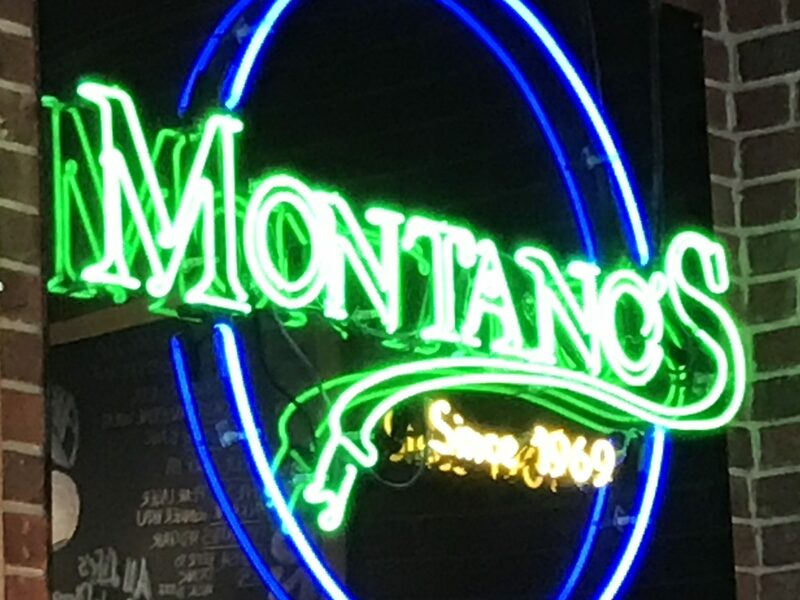 This entry was tagged Dates, Meals, Montano's. Bookmark the permalink. Well, he eats cranberries now, so why not tartar sauce?! He is enjoying all new taste treats and keeping you on your toes. So glad you continue to go out and do things together and then follow it with a meal and a story in the making! Yes, that meal was a blog post waiting to happen, wasn’t it? WOW!!! I can understand chugging the vinegar…but tarter sauce!! 😉 I’ll take the tartar sauce if I have to.